Nails are an amazing invention that were simply designed to help hold items together. There main strength – to resist shear forces. Now as for pull out forces, well not so much (yes even rink shank nails – especially todays version – aren’t so hot at it) which is why they invented screws & specialty hangers. So what happens when you forget basic physics? 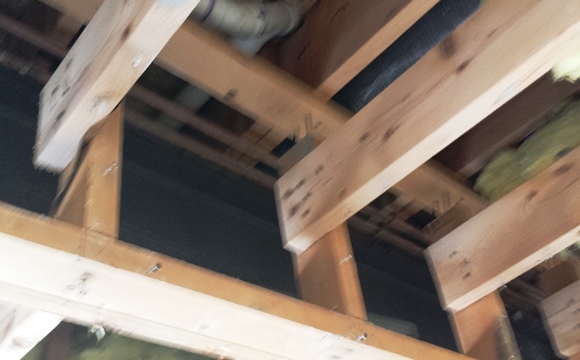 The root of the issue – well they built this box to cover a steel beam & if that wasn’t enough they decided to tie into it to create a lower ceiling with joists. 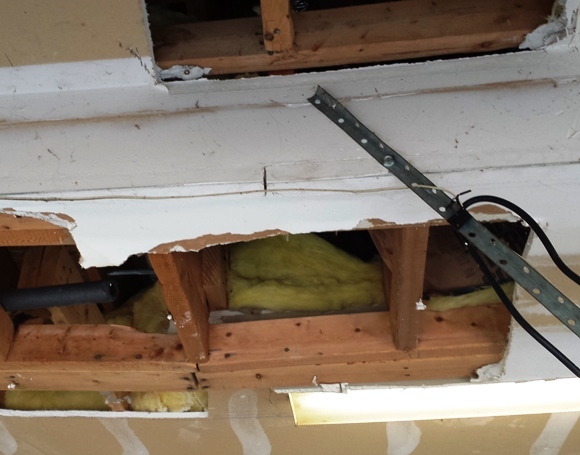 Fortunately for them it managed to stay up & not collapse though as you can see below, the center section had pulled completely loose of the nails & had dropped about 5″ total. The fix for the original problem & how they should have handled it, well after jacking it back into place we used a combination of hangers, anchors & straps which ran about a $125. Doing it when it was built would have only been about $50. So could they have built it with screws only? Structural screws designed to handle sheer – yes. 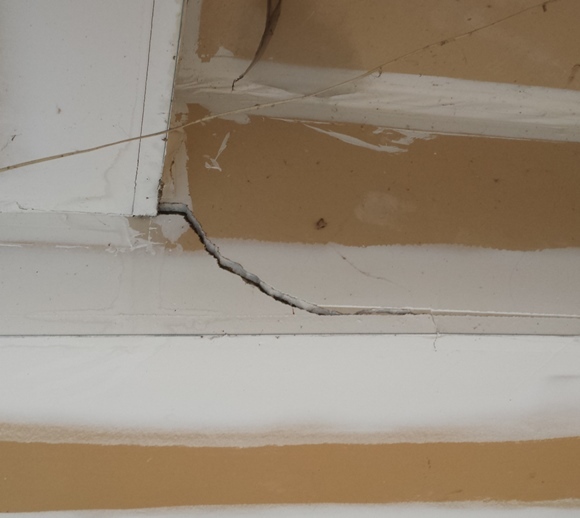 The problem is most people would simply grab drywall or exterior screws which would simply snap & you wouldn’t have much warning that it was about to go.